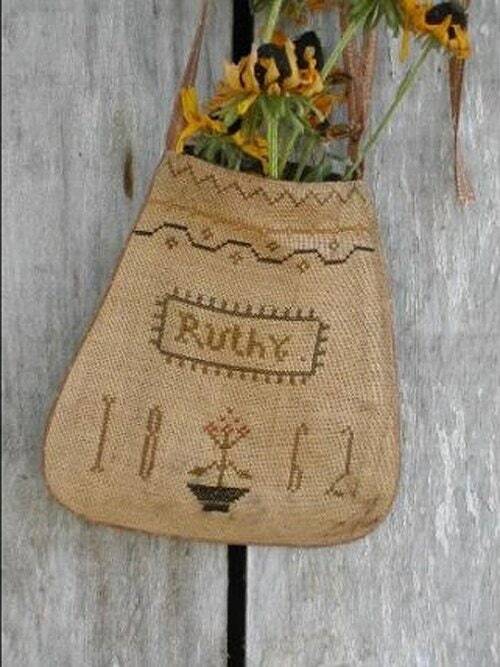 A Linen Cross stitch Ditty bag called "Ruthy's Sampler Pocket". pattern designed by Notforgotten Farm. 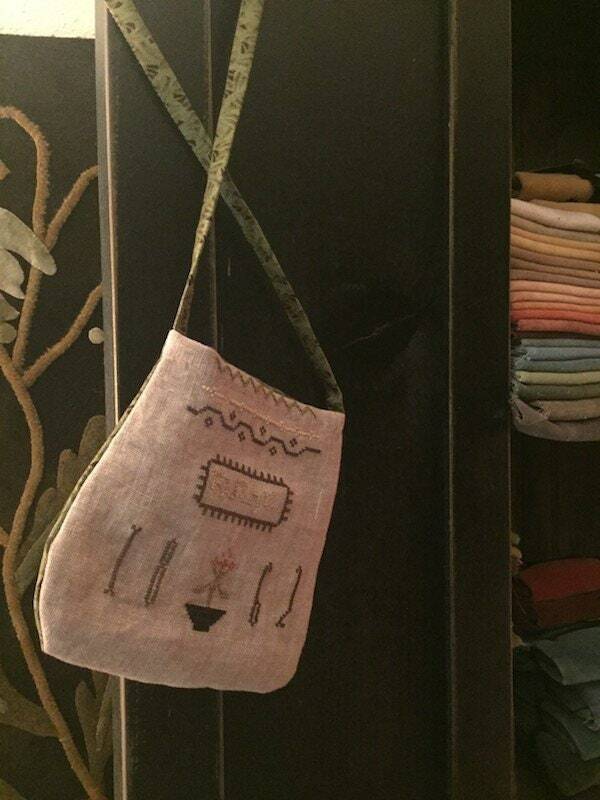 Hand stitched on antique hand dyed linen, with olive green and brown cotton print back and handle. 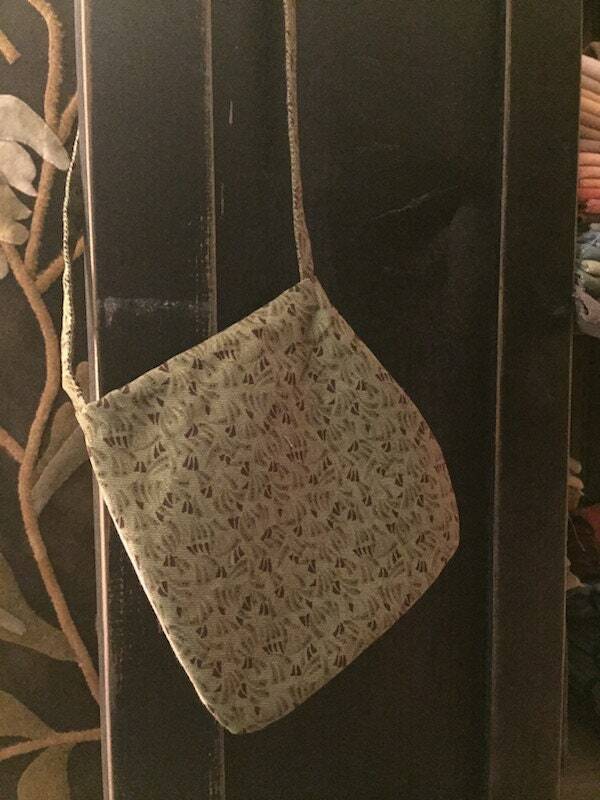 Finished size of bag (not including tie handle) approx. 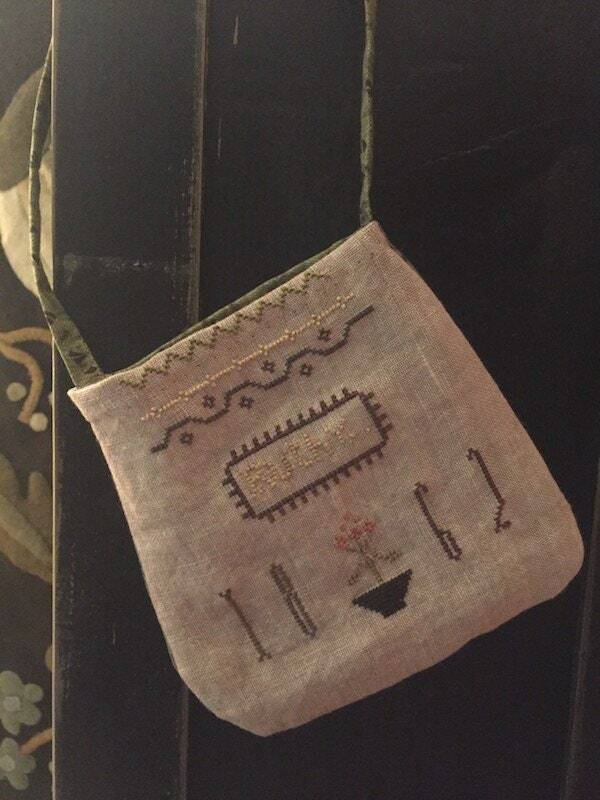 6" x 6"
Please Note: *last photo with dried flowers is from original pattern cover.. actual stitched bag is in other 3 photos.